OSLO, 21 June 2016 (VCHR) – Joining over 1,300 participants from 80 countries including 20 ministers, 200 parliamentarians, academics, lawyers and members of civil society at the 6th World Congress against the Death Penalty in Oslo, the Vietnam Committee on Human Rights (VCHR) expressed its opposition to the use of this inhuman, cruel and degrading punishment, and called upon Vietnam to implement an immediate moratorium as a first step to abolishing the death penalty. The VCHR is a member of the International Federation for Human Rights (FIDH), one of the Congress’ co-sponsors. 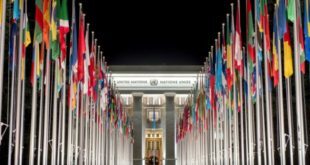 The World Congress, which is organized every three years, focuses this year on the death penalty and terrorism, minorities and mental health. In a special session on “Progress and setbacks in Asia”, VCHR Vice-President Penelope Faulkner highlighted the case of Vietnam, one of some 25 countries that still enforce capital punishment. 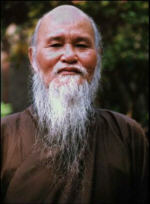 “The use of the death penalty in Vietnam is especially disturbing because of the lack of due process of law. In Vietnam’s one-Party state, the judiciary is not independent and trials are routinely unfair. Some recent death sentences were based on confessions made under torture”, she said. Ms. Faulkner presented the VCHR’s new report on “The Death Penalty in Vietnam” which gives an overview of Vietnam’s policies and practices regarding the death penalty, inhumane conditions on death row and cases of wrongful convictions. Until 2010, executions were by firing squad in Vietnam. The National Assembly then adopted legislation to use lethal injections to make the process “more humane”. Following an EU ban on exports of lethal drugs, Vietnam authorized the use of untested “local poisons” to reduce the backlog of prisoners on death row. The first prisoner to be executed by this method in 2013, Nguyễn Anh Tuấn, 27, took two hours to die. 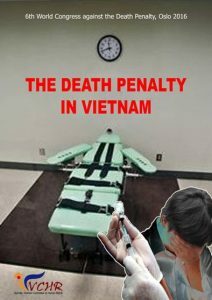 In November 2015, Vietnam announced that it had abolished the death penalty on seven crimes in a reform of the Criminal Code, reducing the number of offences punishable by death from 22 to 15. 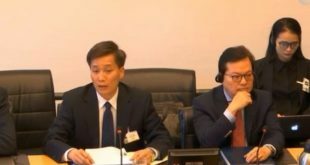 However, the VCHR report revealed that 18 crimes still carry the death penalty in Vietnam today; one new crime has been added, and other crimes, notably drug-related offences, have simply been-worded or displaced in the text. The report published the full list of these 18 crimes. The amended Criminal Code comes into effect on 1st July 2016. Despite strong international pressure, Vietnam did not abolish the death penalty for any of the vaguely-defined “national security” crimes in its amended Criminal Code. On the contrary, it added a new offence of “terrorist activities aimed at opposing the people’s administration” (Article 113). Indeed, Chapter XIII of the Code on “Crimes of Infringing upon National Security” contains a total of six crimes carrying capital punishment, more than any other category of crimes in the Code. 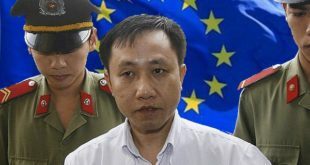 “Under these spurious “national security” laws, which are totally incompatible with international human rights provisions, human rights defenders and pro-democracy activists in Vietnam could be sentenced to death simply for criticizing the Communist Party or peacefully expressing alternative political views”, Penelope Faulkner said. 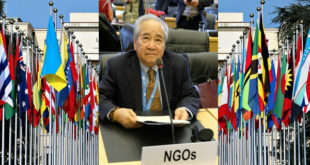 The VCHR report cited cases such as Phan Văn Thu, sentenced to life imprisonment in 2013 under Article 79 of the Criminal Code (now Article 109) on “activities aimed at overthrowing the people’s administration” for advocating protection of the environment.